Kindness is the dew with which humanity has always watered and softened the aridity of its time and it seems to me that our present has an indispensable need for it. Art, in all its expressions, has always softened our path, enriching it with talent, imagination, technical skills and sensibility, among which music, due to its very nature, has always had the “wings” to fly high in the skies of our souls. 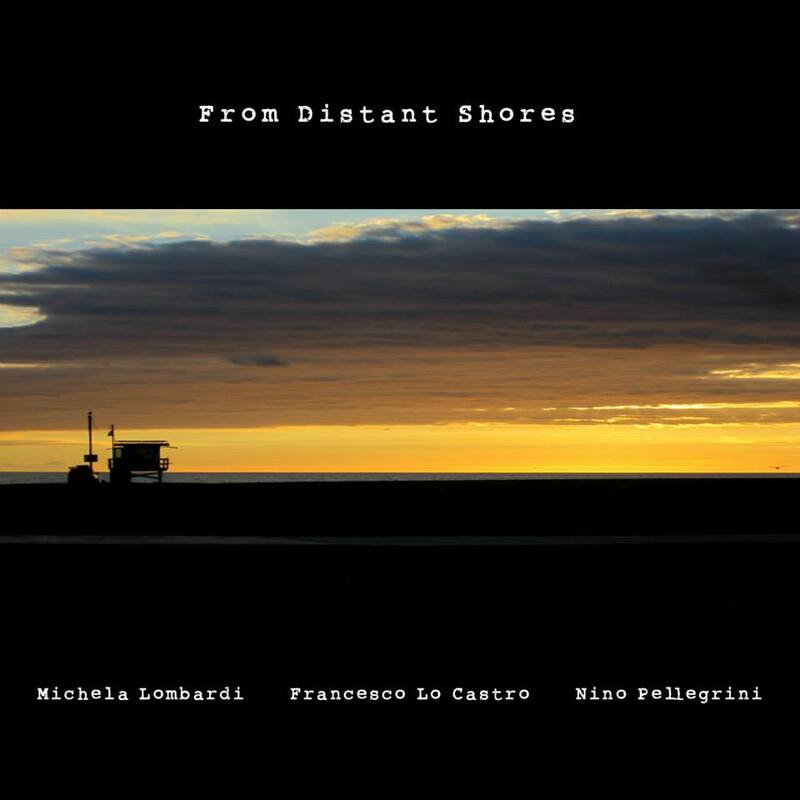 Listening to Francesco Lo Castro’s music and the vocal interpretations by Michela Lombardi in “From Distant Shores”, I immediately experience kindness taking my hand and guiding me with a smile, towards those soft, clear and candid colours of musical sophistication, revealing a suspended and fascinating dimension. 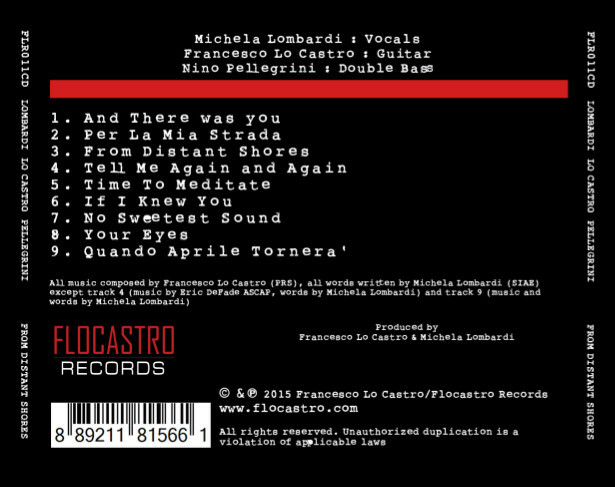 Lombardi’s interpretative elegance, through her poetic and inspired lyrics, comes across almost like golden strings moved by a warm breeze, accompanied by those precious harmonies, almost like floral fragrances, that Lo Castro’s guitar spreads all around. Moreover, the double-bass played by Nino Pellegrini’s expert hands is discreet and admired in its rhythmic counterpoint, offering its full presence within the boundaries of a timid dance. 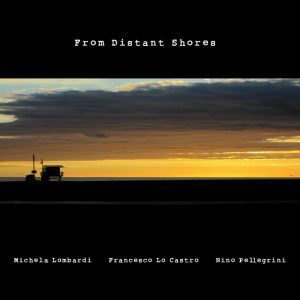 At times, the creative and talented solo improvisations by Lo Castro allow us to fly high, reaching wide horizons where Lombardi’s masterful vocal sinuosities caress our listening, by then utterly captured. “From Distant Shores” is then a gem of sophisticated musicality and an absolute majesty of kindness, courtesy and profound sensibility.